Learn from the nation’s leading educator on laboratory assessment of nutritional status! Includes cutting-edge soft cover book, CD of case studies and paper competency exam. 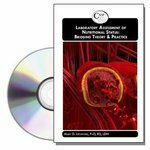 Includes sections on inflammatory biomarkers, hydration, nutritional anemias, vitamin mineral deficiencies, information on more than 90 lab tests used for assessing nutrition-related conditions. Comprehensive list of medications that may give false lab test results. Medications and diagnoses are cross-referenced in index. All CPEs must be completed within one year of purchase. Discuss the role of inflammatory biomarkers as it relates to declining nutritional status. Assess laboratory test results for hydration status, nutritional anemia and other nutrition related disorders. Describe the relationship between laboratory test results and changes in nutritional status. Differentiate the role of medications and disease as each affects laboratory test results. Apply principles of Nutrition Care Process in the laboratory assessment of nutritional status. Dr. Mary Litchford, PhD, RD, LDN, is a trailblazer in the field of dietetics known nationally as an acclaimed speaker, author, medical-legal expert and consultant to health care providers. She began her career in public health nutrition setting up WIC programs and then spent a decade teaching dietetics students at University of North Carolina-Greensboro and North Carolina A & T State University. For the last 20 years, she has demonstrated her expertise as a nutrition entrepreneur. She is president of CASE Software & Books, a professional and educational resource company focusing on advanced level continuing education for Registered Dietitians and computer-based instructional materials for dietetics students. She also lectures throughout the country at state affiliate meetings, DPG conferences and industry sponsored programs. She has written 26 professional reference books, 18 instructional software programs for dietetics students, numerous chapters in college textbooks and ADA publications, many referred scholarly articles and other professional publications. 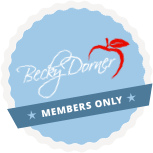 She has written numerous continuing education products for the Association of Nutrition & Food Service Professionals and wrote the clinical nutrition curriculum for the Certified Dietary Managers Course for North Carolina Community Colleges.